We know the best places to go and stay in Glasgow! We literally can take care of every aspect of your booking! Being the largest city in Scotland its really no surprise at all that Glasgow has just a ton of things to get up to. No matter if you are wanting to have 12 or 46 cocktails in the evening or find something really fun to do during the day, Glasgow will have you ladies covered. 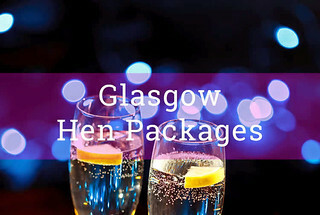 For a hen weekend, Glasgow really does not get the credit it deserves. Glasgow also is known as a city of culture these days and is home to many popular tourist locations. Of if you can put down your wine glasses you may want to have a look at places like The Glasgow Botanic Gardens or maybe a nice walk around the famous Glasgow Green.